They are the brightest minds and rising stars in games, retail, publishing, events, marketing PR and journalism. But who are they? 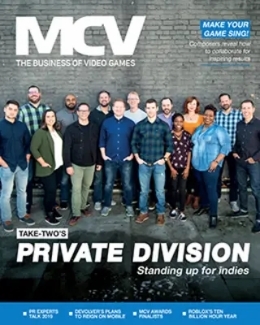 MCV profiles the class of 2013, the UK games industry’s 30 under 30..
Ben Pestell joined the PlayStation UK team almost a year ago and according to his colleagues has made an instant impact creating innovative POS, trade sampling and retail events. His biggest achievement has been The Last of Us lock-ins with GAME, which at the time were the most successful lock-in events in terms of sales attachment and attendees. As a result he has become very popular at the High Street retailer. Yunus Ibrahim has excelled in the past year having been promoted from his initial position as assistant publicist. 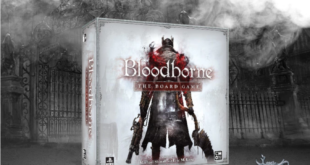 He has worked with THQ, Namco Bandai, Mad Catz and Warner Bros. This year he has worked on the Pokmon X and Y campaign for The Pokmon Company, running The Pokmon Championship. He has also launched Nordic Games and City Interactive titles The Raven, Alien Rage and the soon-to-be-released Deadfall Adventures. Having joined Exertis Gem from Reach, Adams has now been at the company for just over a year. During this time, he has become a conscientious and jovial member of Gem’s trade marketing team. His peers describe him as a willing team member who is always ready to get involved”, and has made a positive difference to the smooth running of a very business department. His positive and proactive nature is that to be admired. As is his burger eating skills, going by all accounts. Roberts has recently moved to Riot Games from Indigo Pearl. Her knowledge of online, F2P and PC games has enabled her success in this specialised field. Throughout her time at Indigo Pearl she worked closely with clients such as CCP, Blizzard and Devolver Digital and managed events, launches and campaigns with passion. She also saw success with the recent Games On Song choir, where she used her musical talents to help lead the choir through various performances to raise substantial amounts for GamesAid. At just 26, Gera has already established herself as a big name in journalism. After holding a variety of freelance positions at websites and publications including IncGamers, Play-Gamer and Games Radar, she eventually became section editor for VideoGamer. Gera is now the sole UK representative for Polygon and has previously been named one of MCV’s Top 100 UK-based women in games. Her work in the industry includes both feminist and academic material. Barely in the job ten months, Enticknap helped double the attendees to the UK stand at Gamescom. He was instrumental in putting on the Indie Games Collective and created a sub group for community managers around dealing with online trolls. He has also transformed UKIE’s social network strategy – Twitter followers have more than doubled since June 2013. He has been key in recruiting over 100 Video Games Ambassadors through relationship building face-to-face and is a talent UKIE?never wants to lose. In just 18 months, Lapaz has been promoted twice from Spanish community manager, through senior community manager, to Guild Wars 2 community team lead, where he is responsible for a team of four. He works tirelessly to keep European Guild Wars 2 players happy, acting as the first line of communication and customer service for millions of players. Using a variety of specialist software tools he has created himself, he provides invaluable insights into the global player base and communications campaigns. When he was just 15, Svend Joscelyne started his own Sonic fan site – Sonic Stadium – which is still running to this day with impressive visitor numbers. He also runs the Summer of Sonic event, which attracts hundreds of the community every single year. This year he even secured composers from the game who performed music live. He was the lead writer for Spong before his impressive community work attracted the attention of 2K Games in July this year, a stint that ended this month. Click Entertainment is a new business in the industry, but within Wright’s first year the firm’s development and expansion enabled the company to move from six-figure to eight-figure turnover. 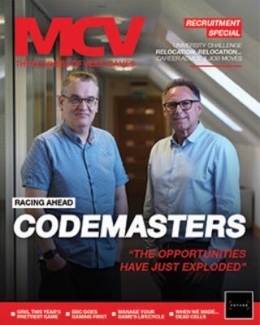 It has been nominated for an MCV Award and the company has moved to a new location, with capacity increasing tenfold. According to his colleagues, Wright is an ‘inspiration’ and a ‘joy to work with,’ which is high praise indeed. They also wanted us to comment on his ‘dreamy blye eyes’. 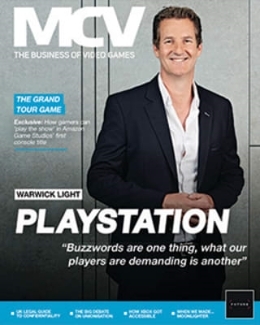 Gavin Murphy has often been described to various members of the MCV team as a video genius. The Welsh camera jockey has been integral to Future Games’ phenomenal video growth in 2013, helping the CVG YouTube channel grow to almost 200,000 subscribers. Murphy is responsible for the Games Media Award-winning OXM Breakdown, the hugely popular Gamer Gran show – hosted by his Nan – and this year extended his video talents to Total Film. Kavia was recently promoted to product manager as recognition for her work on the Pokmon brand which she has looked after exclusively for the last year. Kavia has been instrumental in planning for the launch of Pokmon X & Y, which has been Nintendo’s largest single product launch with a fully integrated campaign across TV, online, outdoor, sampling and print. Beyond this Vanisha has launched lots of the firm’s titles this year and continues to be a major figure in other work.